A writer for the NY Post asked me about “Bitcoin Carnivores” today. Is there something connecting HODLers (those that hold bitcoin) and Carnivores (those that eat just meat)? I like this question because its really asking about intersections in science and research, psychology and sociology, world-views and beliefs. It’s a fun question and interesting thought experiment to see why a correlation may exist between these groups. It also nicely highlights the ease in which associations can lead to misconceptions. Downloading your first cryptographic wallet doesn’t mean you are about to start the Carnivore Diet. And eating more meat won’t increase your bitcoin balance. Like epidemiology, there’s problems trying to draw conclusions from observation alone. My failed “Broccoli Study” is a good example of missing the whole picture. But even though causation may not exist, that doesn’t mean we should ignore epidemiology or the association between Bitcoin and Carnivores. In fact, it calls for deeper exploration and further hypotheses. 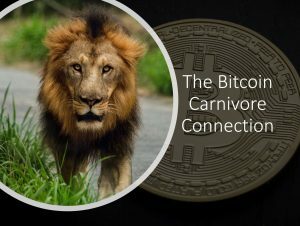 Are Bitcoin Carnivores like Amber, Mike, and Saifedean members of a secret cult group (i didn’t get the invite…), or do they share some world-view, or do they have access to inside information? Or is it just coincidence? A thread that runs through bitcoin culture is a stance against fiat money. You are told how and where you can spend your money. What you can and can’t invest in. And how much of that money you earn goes back to the establishment. And if they need more money, they can just print more, devaluing your money without your permission. With fiat money there is a real sense that your money isn’t really just your money. It’s the governments too. And they have their hands all over it. There’s a feeling of loss of control and a loss of freedom pervading fiat currency. With bitcoin, it’s your money. You can give it to whomever you want, whenever you want, wherever they are. Borders disappear. Approval disappears. There is a sense of control and freedom with bitcoin. In a similar way that Bitcoin is a stance against fiat money, the Carnivore Diet is a stance against fiat food. It’s like giving the finger to the food pyramid. You are told to eat lots of “healthy” grains, fruits, and vegetables. That carbs should make up at least 60% of your diet. You are told that fat is bad, especially saturated fat that is going to raise your cholesterol and clog your arteries. You are told meat should only be consumed in tiny portions, if at all, and will give you cancer. Special interests lurk behind each and every recommendation. And these interest groups don’t have as much interest in your health as their pockets. Refined, processed, synthetic junk fills the grocery stores, is marketed at kids, and served at schools. They get them addicted early. You can’t trust what they say about food, so why should you trust them with your money. Perhaps this is a train of thought Bitcoin Carnivores share. The overlap between Carnivores and Bitcoin holders is interesting because they are completely different forms of “progress.” One is a revolutionary technological advancement. A push for future finances unlike anything in the past. The other is return to our roots. A return to eating in a way we are designed to eat. One is a push into the future. The other is pull back to the past. So Bitcoin Carnivores clearly aren’t about siding with Luddites or Futurists. It isn’t about left vs right. It isn’t political bonding. Perhaps it about life optimization. Money and health are two of the biggest factors in everyone’s life. It makes sense to want to optimize them. We want to feel good and live a long healthy life. And we want money for security, for our families, and the freedom to pursue our dreams, to give back, and to enjoy our time on this rock. We all have to deal with money and we all have to deal with health. People that want the most out of life may tend to try and optimize for these two critical factors of life. It’s not about being pro-tech or anti-plants but being pro-the-best-life-possible. It takes a special-someone to just eat meat. Especially when we’ve been told that fruits and vegetables are the gateway to health. And we’ve been indoctrinated with fat-is-bad philosophy. And kicking addictions to sugar and carbs is no walk in the park. It also takes a special-someone to invest time and money in bitcoin. A system where “wallets” don’t hold any actual “coins.” There is nothing physical to put your hands on. Nothing physical to trade with someone else. Nothing backing it. No Bitcoin Headquarters for customer service, refunds, or complaints. Both Carnivores and Bitcoin holders seem a bit crazy. Some may say extreme. To me though, it seems these “special-someone’s” are risk-takers that have the courage to think for themselves, and are ok with bucking the status quo in an attempt to discover, to advance, to optimize. They are the innovators. By definition, they are on the “extreme” side of the adoption curve. They are open to experimenting and willing to fail. 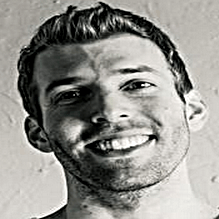 They are self-educators, self-motivated, self-explorers, that search for better ways. It doesn’t matter so much if this search is a look into the future or the distant past to find answers. It’s the truth they’re after. It’s obvious that Bitcoin Carnivores have a different view of the world, perhaps a different mentality, than most people. They seem contrarian. These views could have been shaped by information or belief-systems. Or perhaps a bit of each. Or perhaps something entirely different. But they hold big ideas. And big ideas spread. And ideas that work stick. Perhaps these 2 big ideas are spreading and sticking because they work. Or perhaps it’s still too early to know. What an incredibly well thought out and written article. I think you hit the nail on the head; and it’s a combo of all these points. Thanks for checking it out Adam!